Bell to exclusively launch HTC Legend? Bell is in need of a new flagship device – they had a good run with the Palm Pre but something bigger and better needs to be added. 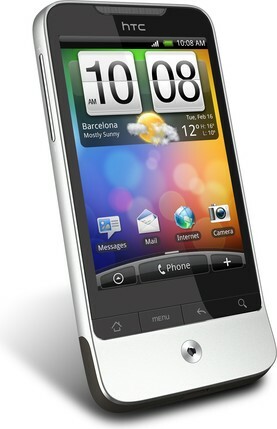 We’ve been tipped that Bell will be exclusively releasing the Android OS 2.1 HTC Legend sometime “this May/June”. No exact dates were given or pricing… but if Bell brought this on board it would do incredible things for their lineup. It would be their first Android smartphone that runs 2.1… currently the Galaxy and the upcoming Dext both have 1.5. Apart from having 2.1, some notable specs of the Legend are that it has HTC Sense, a 3.2-inch multi-touch capacitive AMOLED screen (resolution of 320 x 480), comes with a 5 megapixel camera with video capabilities, 3.5mm headset jack, 600 MHz Qualcomm processor, can hold up to 32 GB with a microSD card, WiFi.